Many people think lemons just belong in the kitchen, but these little yellow fruits are so much more than an ingredient. Grown in tropical and moderate climates, these small, evergreen trees were once native to Asia and are used for both culinary and non-culinary purposes around the world. Ancient Egyptians believed that eating lemons and drinking their juice protected against a range of poisons, and throughout the ages, people have turned to lemons to treat everything from epilepsy to breaking witchcraft spells. Read on to see what else can lemons can do. 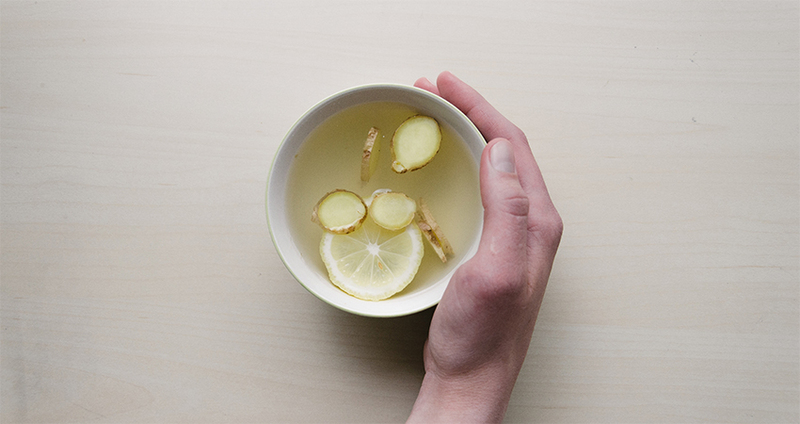 But before you settle in, go pour yourself a glass of water and squeeze half a lemon into it: you’ll add just six calories, but get more than a sixth of your daily Vitamin C quota, which is needed to protect the body from cell damage, and repair injury. No more brown produce. 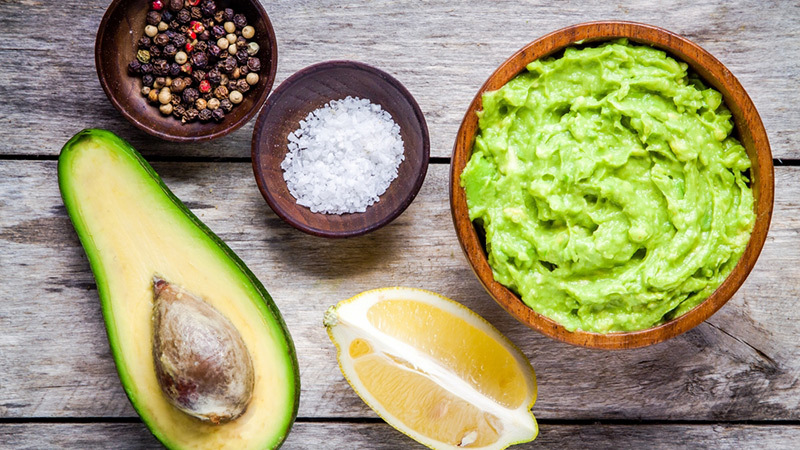 If you’re slicing up an avocado, apple, banana or peeled raw potatoes ahead of time to include in a recipe, a little lemon juice goes a long way. By squeezing a little over the food, you can avoid the oxidation that would otherwise turn your produce brown. No more sticky rice. Rice can get clumpy while it cooks. Not with lemon: add a few drops to the cooking water and the rice won’t stick. An added benefit: it will keep the rice looking gleaming white. No more tough meat. Fibres in meat can leave it tough and thus hard to chew. Not so if you add a little bit of lemon juice to your meat before cooking; its acidity will gently break down those fibers and make your meat tender and make it go down easy. No more cracked eggs. Making hard-boiled eggs? To keep them from cracking while cooking, brush the egg shells with a little lemon juice before they go in the pot and you’ll have perfectly hard-boiled eggs – and they’ll also be easier to peel once they’re done. No more flavourless food. Watching your sodium? Try adding lemon instead of salt for a great sodium-free meal. Lemon also can brighten up and balance the flavors of seafood or creamy dishes and bring out the flavors of so many other foods. When the early explorers suffered from the then-common disease, scurvy (Vitamin C deficiency), lemons came to the rescue. Today, lemons are touted for many other health benefits. Stroke: The American Heart Association says that eating higher amounts of citrus fruits may lower the risk of ischemic stroke for women. A study found that there was a 19 percent lower risk of stroke in women who ate the highest amounts of citrus, compared to those who consumed the least. Cancer: The powerful antioxidant Vitamin C in lemons can help fight the formation of free radicals which are known to cause cancer. Asthma: The risk for developing asthma is lower in people who consume a high amount of Vitamin C, the risk for developing asthma are lower. Iron deficiency: Low iron is one of the most common nutrient deficiencies in the developing world and a leading cause of anemia. Foods high in vitamin C, paired with citrus, helps the body absorb iron. Top your spinach salad with a few squeezes of lemon (both good sources of iron). Moisturize: A few drops of coconut water mixed with a few drops of lemon juice can clarify and brighten your skin for those tired morning. 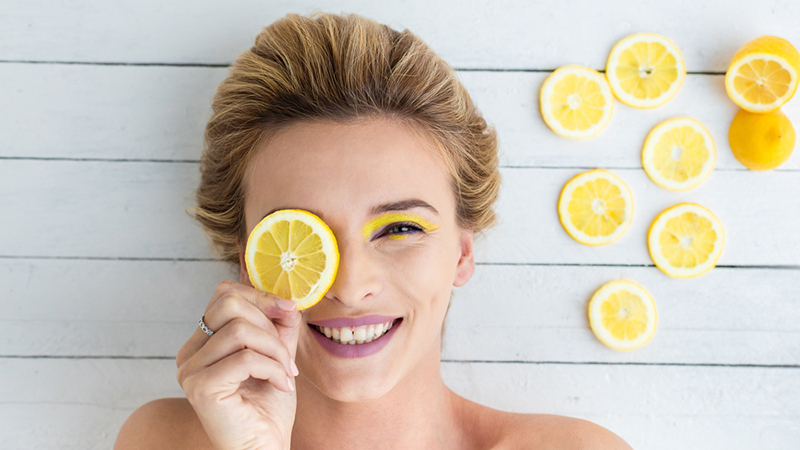 Fight blackheads and acne: Put the antibacterial power of lemons to use by squeezing the juice of a lemon slice over troubled areas of your skin. A lemon rind rubbed over your skin can also help eliminate shiny, oily areas and may even help fade dark spots and scars over time. Whiten teeth: Save a trip (and money!) to the dentist’s office by making a mixture of baking soda and lemon juice, and apply to your teeth using a Q-tip. Scrub gently with a toothbrush, then rinse. Improve your skin: Vitamin C, whether eaten in its natural form or applied directly to the skin, can help fight damage caused by pollution and by the sun’s rays, reduce wrinkles and improve the overall texture of your skin. Vitamin C is vital in the formation of collagen, the skin’s support system. Lighten your locks: Want highlights without the fuss and muss of a salon? Apply lemon juice liberally to hair before going out into the sun. Untarnish copper or brass pots and pans by mixing one-quarter cup of table salt with just enough lemon to make a paste. Apply and let sit for five to ten minutes, then rinse well in warm tap water. Replace chlorine bleach with lemon juice. Not only will your clothes get whiter and brighter, they’ll have a refreshing, lemony scent when they’re done. Clean shower doors by cutting a lemon in half and rubbing it over your glass door. Say goodbye to build-up and muck. Rinse with warm water for a shiny and well-scented bathroom. Shine faucets. 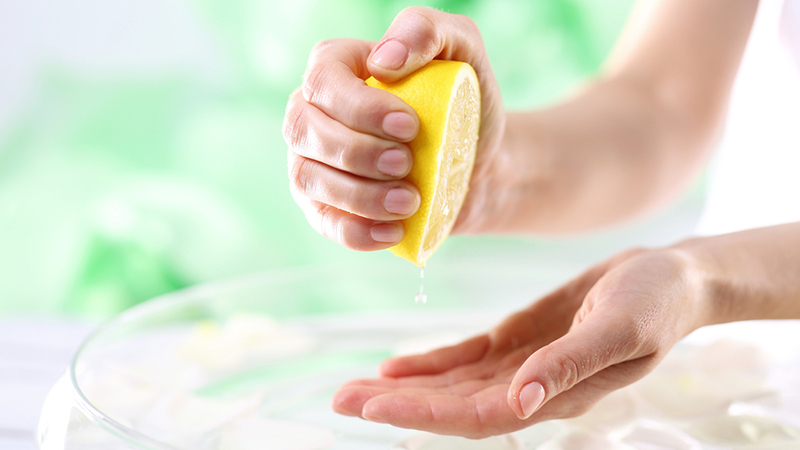 Chrome faucets and knobs can get grimy: rub a cut lemon directly over chrome and see spots and stains disappear.